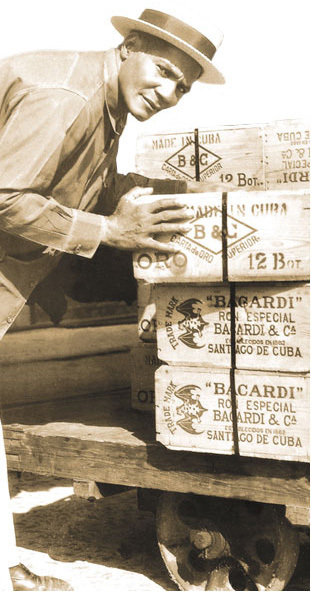 Established in Santiago de Cuba in 1862, BACARDÍ rum is the world’s favorite and most awarded rum. 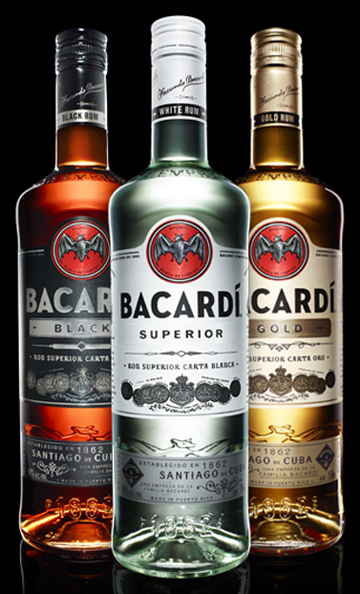 The strong product portfolio includes BACARDÍ Superior, recognized the world over as the premium rum that inspired the cocktails that we know and love today. Its light taste and unique balance meant that it could be mixed with light flavours such as mint and lime without dominating nor disappearing in them. The result was a new style of light, clean, crisp and refreshing cocktails such as the Original Mojito and Daiquirí. On February 4, 1862, Don Facundo Bacardi Massó purchased the first BACARDÍ rum distillery on El Matadero Street, in the town of Santiago de Cuba, for 3.500 pesos. Here, he pioneered a new way of making rum that would set the standards for future rum production. 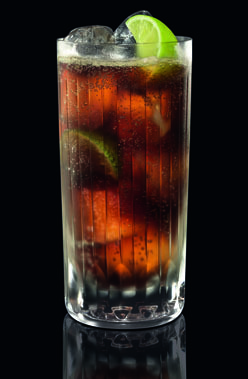 The result was a new style of light, clean, crisp and refreshing cocktails such as the Authentic BACARDÍ Mojito, Original BACARDÍ Daiquirí, and the Original BACARDÍ Cuba Libre. Don Facundo realised that early rums were crude and harsh and not fit for the cultivated palettes of Cuba’s emerging middle classes. He set out to create a locally produced spirit that was as sophisticated as the finest Cognacs. To do this he worked hard to control every step of the rum making process and introduced techniques which he observed in the production of European spirits as well as creating a couple of his own. He began with the highest quality ingredients including a unique strain of yeast which he found growing in the sugarcane fields outside Santiago de Cuba. This proprietary strain of yeast became known as 'La Levadura BACARDI' and continues to be used exclusively to provide BACARDÍ Rum with its unique flavour profile. In order to create a light and well balanced rum, Don Facundo distilled two separate spirits. The first was known as 'aguardiente', a characterful rum with a distinct flavour and aroma that provides the backbone for BACARDÍ; the second he distilled several times to produce a lighter and more delicate spirit called 'redestilado'. He began with the highest quality ingredients including a unique strain of yeast which he found growing in the sugarcane fields outside Santiago de Cuba. By pioneering charcoal filtration and purposeful ageing in rum, he created tools that our Maestros de Ron BACARDÍ (Master Blenders) continue to use today to create a range of perfectly balanced rums; each with its own interpretation of the BACARDÍ flavour profile. These include BACARDÍ Superior, a light, floral and fruity white rum ideal for mixing; BACARDÍ Gold, a rich golden rum with soft vanilla, spice and oak notes, and BACARDÍ 8 Años, a deep and mellow rum aged for a minimum of eight years, which remained the sole preserve of the BacardÍ family for seven generations. Eight generations of Don Facundo’s family have sustained his innovative spirit to produce BACARDÍ, the most awarded rum in the world. Casa BACARDÍ Puerto Rico offers guided tours to discover how we make BACARDÍ rum and our family owned company’s history of craft and innovation. You can select from the Historical Tour, Rum Tasting Tour or Mixology Tour. All include a welcome drink and commemorative cup to keep. This is a premium spirits experience and all guests must be over 18 years of age. Please see www.CasaBACARDI.com for all tour options and details. First tour at 9:00am; the last tour starts at 4:30pm. First tour at 12 noon; the last tour starts at 4:30pm. 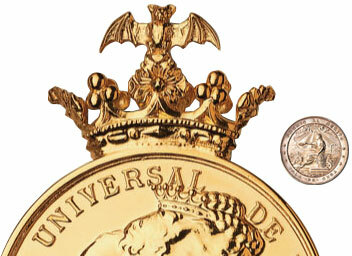 CASA BACARDÍ is a permanent brand home dedicated to the most Awarded Rum in the world, located in Sitges, the birth town of creator Don Facundo Bacardí Massó. A visitor center located 40 minutes from Barcelona, in the historical modernist building Mercat Vell (an old food market) constructed in 1890 by the architect Gaieta Buigas, in the old city center of Sitges on Plaça de L´Ajuntament 11. The CASA BACARDÍ Sitges experiences such as the Guided Discovery Tour and Mixology Masterclass are intended for the general public to enjoy as well as corporate employees and clientel. Our Guided Discovery Tour allows you to immerse into the brand, learn about the history of Sitges, the Americanos route and its relationship with the Bacardí Family. Discover the rum making process of BACARDÍ CARTA BLANCA with a tasting session, followed by a cocktail workshop in the bar lounge, hosted by our mixologists where visitors can learn how to make an original BACARDÍ Cocktail such as the Mojito and Cuba Libre. A monthly Mixology Masterclass is hosted here to showcase the original BACARDÍ cocktails such as the Daiquiri and Piña Colada as well as other creations from the company portfolio. It is an inspiring 2 hour session suitable for guests aged 18 and over. CASA BACARDÍ Sitges is available for private cocktail parties up to 120 people and business meetings upon request and dependent on availability. The village of Sitges is located 35km. south of Barcelona, around 40 minutes by car. Train and bus routes arrive directly from Barcelona to Sitges. Barcelona Airport (El Prat BCN): By car 32 km to Sitges-30 minutes / By train: T2 (Free bus from T1 to T2) Train Station to Prat del Llobregat and one second train to Vilanova i la Geltrú-20 minutes / By bus: Mon bus (T1) direct to Sitges 30-45 minutes. From Reus Airport (REU): By car: 69.1 km, 44 minutes. By Train: Train Station in Reus city. Train to Barcelona (stop in Sitges)- 1 h. By bus: 2h 30m. From Girona Airport (GRO): By car: 134 km, 1h 22m. By train: Train Station in Girona city (Girona->Barcelona->Sitges) 2h 15m. By bus: 2h 45m. Monday and Tuesday available for private events only. Maximum of 30 people on guided tour. Tours available in Spanish, Catalán and English – translators are welcome. Tickets 10€ per person (8€ for students or over 65s). Free entry for BacardÍ employees (up to 15 people). Please contact info@casabacardi.es for any queries or if booking as a Bacardí employee.